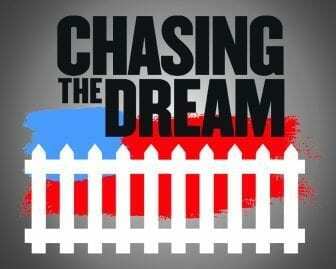 Produced by WSKG, Chasing the Dream is a comprehensive three-year poverty awareness campaign centered on the Southern Tier region of New York. Incorporating television, radio and digital media, this project sheds light on the root causes of local poverty, the reality of what poverty looks like in our region and the successes and challenges of poverty-reduction efforts taking place in our communities. This webpage serves as the online destination for all poverty-related content aired by WSKG and is also a resource for those seeking information on community organizations that support those living in poverty. For help and a list of additional resources, please CLICK HERE. Know an organization in our community that should be featured or have a story to share? Please contact Bailey Normann at bnormann@wskg.org. WSKG thanks the following for their support of this project: the Conrad and Virginia Klee Foundation, the Community Foundation for South Central New York, the Corning Incorporated Foundation, the Tioga Downs Regional Community Foundation, and New York State funding through Governor Cuomo’s Empire State Poverty Reduction Initiative, which was awarded to the Binghamton-Broome Anti-Poverty Initiative of the United Way of Broome County. For a list of additional resources, please CLICK HERE. Loading… WSKG thanks the following for their support of this project: the Conrad and Virginia Klee Foundation, the Community Foundation for South Central New York and New York State funding through Governor Cuomo’s Empire State Poverty Reduction Initiative, which was awarded to the Binghamton-Broome Anti-Poverty Initiative of the United Way of Broome County. Proaction of Steuben & Yates, Inc.
Hilliside is one of almost two dozen organizations in five counties, awarded a piece of the Upstate Revitalization Initiative grant. 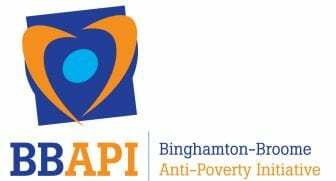 The 24-member Alliance for Economic Inclusion decided to split over $13 million between agencies that had successful programs dealing with poverty, as well as some newer ones.